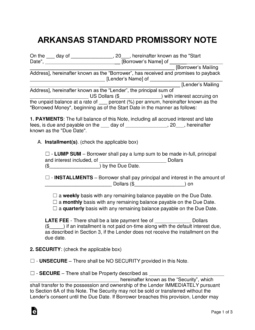 The Arkansas promissory note templates are documents used to record loan based deals between two parties. The documents consist of several sections where information regarding interest rates, payment types, late fees, etc are open to utilization by the lender. Secured Promissory Note – For lenders that want to ensure they are as protected as possible in the event of a default from the borrower. Before the signing of the document, the lender and borrower agree on physical item(s) that are automatically given to the lender if the loaned amount cannot be paid off. 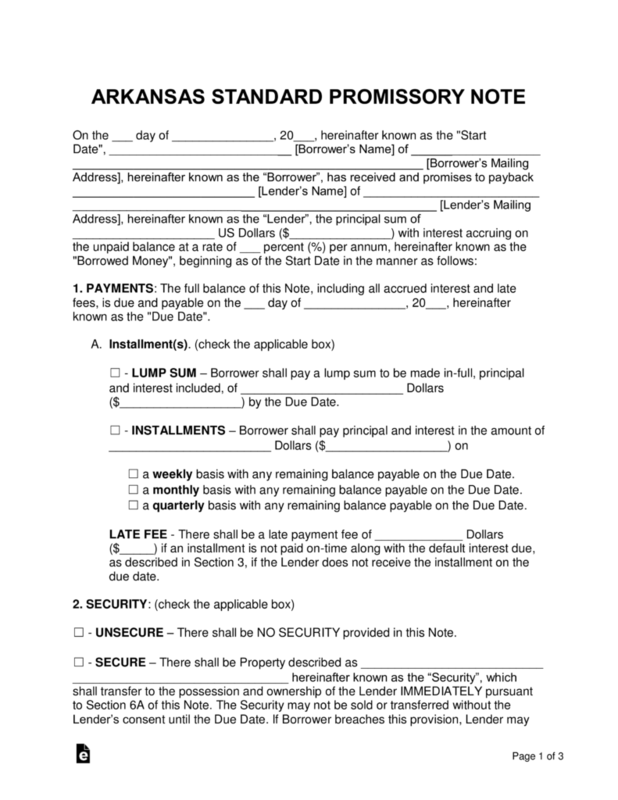 Unsecured Promissory Note – Contains more risk than the secured note solely because of the absence of any security for the lender. In the case of a default, the lender has to resort to small claims court and/or reporting the default to a credit agency.